Is it me or these days does it not feel like five minutes since you emptied those school bags and now you are refilling them? Time in general passes by so fast so you really have to be organised to stay on top of all that is required for the start of a new school term. One of the big things is obviously school uniform. It seems that there is a real mixed bag when it comes to school uniform requirements these days. Some parents seem to have to buy everything from the school, or designated school uniform provider. Some have key things they have to buy from a particular retailer or directly from school, and the rest can be purchased from anywhere that stocks school uniform. For some, as long as the uniform purchased is in-keeping with the school colours and requirements it can all be purchased elsewhere. It’s a real mixture for my children. Some uniform has to be purchased from a particular retailer, some from school and the rest can be bought elsewhere. Over the years I’ve purchased school uniform from numerous places including all the major supermarkets, Debenhams and Marks and Spencer. This year the bulk of the extra uniform, after getting the key items from school and the designated shop, came from Tesco Direct and in-store at Tesco. This included two different sorts of tights, skirts, white shirts, grey school shorts and grey school trousers and tons of grey school socks. Their school skirts in particular are really nice this year and come in a range of colours and styles for younger and older girls. We love this soft touch jersey tube skirt – it looks smart like a pencil skirt but has a decent amount of stretch and doesn’t ride up either. Their school shirts come in a range of colours and styles and you can get both long and short sleeved shirts. Some of the boys school shirts and trousers come in packs of two, some have reinforced knees and if you use a tumble dryer lots of the uniform doesn’t need much ironing – bonus! It lasts well, and like all the supermarket-branded uniform, it’s affordable, so if something does get ruined or your child has a massive growth spurt, you can replace it for a few pounds. If you are looking at getting team tops printed for a club or school team you could look at something like T-shirt printing UK. You can get vest tops, T-shirts and even things like hoodies and polo shirts. These are great as leavers souvenirs as well for the end of the school year. School shoes can be a bit of a minefield. Many parents still swear by Clarks for school shoes. In all honesty, I’ve not bought them for years as two weeks into term they were scuffed and looking shabby. I just didn’t feel that they were worth the money anymore. Also, they can look a bit old fashioned and the children went right off them. I’ve had some good school shoes from Kickers over the years but more recently the children have opted for things that are closer to a black pump or trainer, from Nike, Dunlop, Lonsdale and Karrimor. These have lasted so much longer than a standard school shoe and also been more comfortable for the children. Most of the school bags we’ve had over the years have been from Sports Direct. They have a huge selection of rucksacks, satchels and gym bags and normally most of them are a good price too. You’ll have to check out what your child’s P.E kit entails but normally you will need shorts and t-shirt for indoors and a tracksuit and trainers for outdoor. Again, most of this stuff, aside from any school-branded kit of course has come from Sports Direct. I normally order online as it’s easier than fighting my way around the shop with the tribe in tow. They have a massive range of sports wear for children and tons of trainers to choose from, they also have a huge range of brands available too, you’d be hard-pressed not to find what you need. One of our favourite ranges is the Karrimor Run range for both girls and boys. I picked up a Paw Patrol lunchbox in Tesco the other day, so one of the little boys is very happy about that. Supermarkets tend to have a good choice of lunchboxes for little ones and stylish lunch tubs for older children. Sistema also have a great range of products online and their lunchboxes and water bottles last really well. You might also want to be thinking about stocking up on things to go in lunchboxes as well. If you want to be super organised you could make a bunch of sandwiches and freeze them so you can at least get the first couple of weeks off to a flying start. My children aren’t massive fans of eating sandwiches so I have to be a bit more inventive these days. They enjoy having bits and bobs to make up their own wraps and things like cucumber sticks and carrot sticks always go down well. Every Sunday during term time I make sure I’ve chopped up a Tupperware full of bits and bobs to save time in the week. One good addition to a lunchbox is always a little yoghurt tube or pot, but there can be a lot of waste. If, for example the children don’t eat them one day, they have to be thrown away. One way to get around that is with Super Yummies Dairy Pots. These are ideal as they don’t need to be refrigerated, so if they don’t get eaten one day they aren’t wasted and can be eaten another time. They offer a source of calcium, they are tailored for little ones and developed with mums and nutritionists, and an ideal size for a lunchbox snack – just don’t forget the spoon! If your children won’t drink water then you could look at including something like the new The Very Hungry Caterpillar Cloudy Apple Juice from Cawston Press. 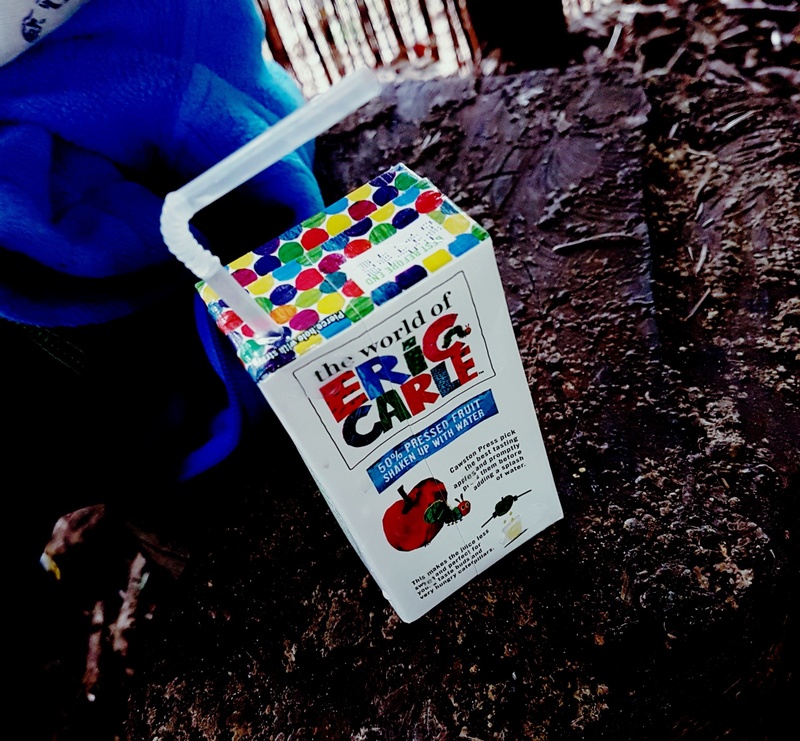 The juice comprises 50% Cawston Press apple juice and 50% water, making it a natural, light and refreshing drink – these are certified as ‘lunchbox friendly’ in terms of their contents. These come in a pack of three from Ocado, Tesco and Waitrose and are priced at £1.89 per pack. They make a great after-school pick up drink as well and they are really appealing too – who doesn’t love The Very Hungry Caterpillar? 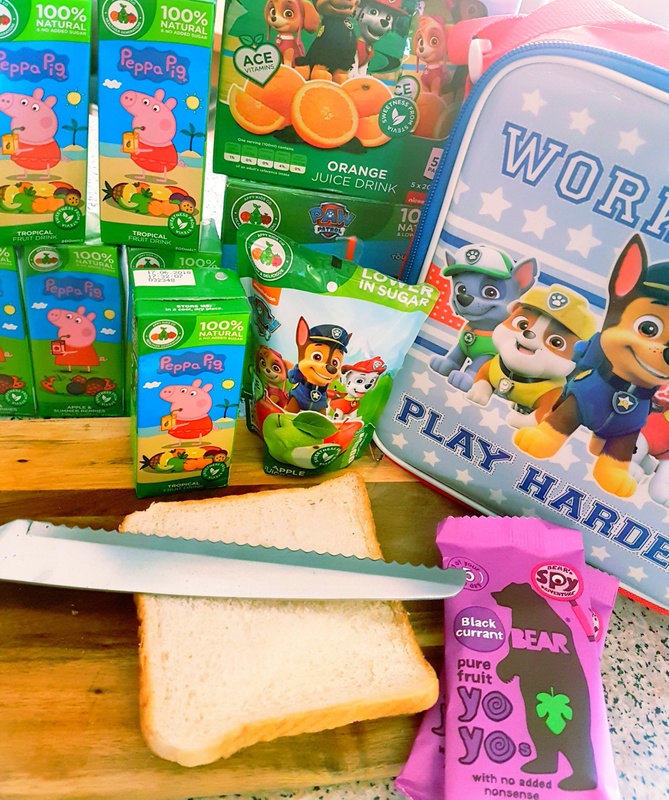 If you have children who are fans of Peppa Pig or Paw Patrol, or perhaps Dora, Minions, Turtles or even the Gruffalo (who doesn’t like the Gruffalo) you could include a drink carton or pouch from Appy Kids Co. Just that familiar cartoon face might be enough for them to settle down at lunchtime with their friends and actually eat and drink something from the lunch you lovingly prepared for them. The Peppa Pig drinks are 100% natural and have no added sugar and the Paw Patrol drinks are fortified with vitamins A,C,E. 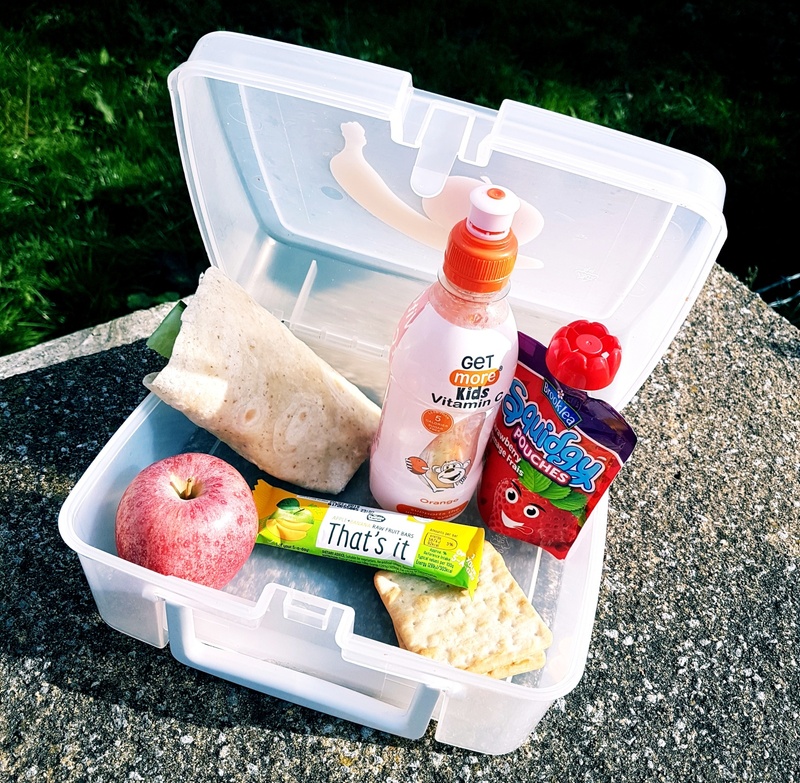 Not all the Appy Kids Co drinks have the official ‘lunchbox friendly’ seal of approval so just check your child’s school policy first, or when in doubt keep them for an after-school drink. If you prefer your children to have water, but also want to give them a little bit more, you could opt to give them a Get More Kids vitamin water in their lunchbox. These make for a refreshing drink with that extra little boost. There are currently three flavours to choose from: apple, orange and mango, and each has a vitamin boost with it. These are sugar free and only flavoured with natural flavours, and they come in handy sportster bottles which always reduce spillages. 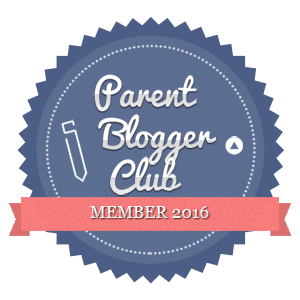 Just another sneaky way for us parents to get good stuff into our little ones really! You can pick these up at all major supermarkets, as well as outlets like Spar and WHSmith. I tend to keep a few things like this in the car for when thirst strikes and they just can’t wait – you know those moments? It will depend on the age of your child and the set up at their school as to who needs what this year in terms of stationary. The general rule is that the older they get, the more they need. In her last year of primary school, my daughter insisted on carrying around 6 pencil cases! I’d love to have seen how many she actually opened each day. If you have a child going to high school, you might need to purchase things like a calculator, protractor and so on. The Works, WHSmith and Tesco all have a huge range of items. 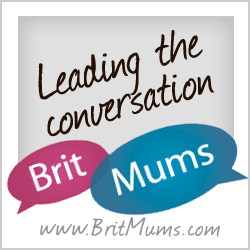 The prospect of labelling everything for the start of the new term has the potential to cause massive parental meltdowns, especially for big families. 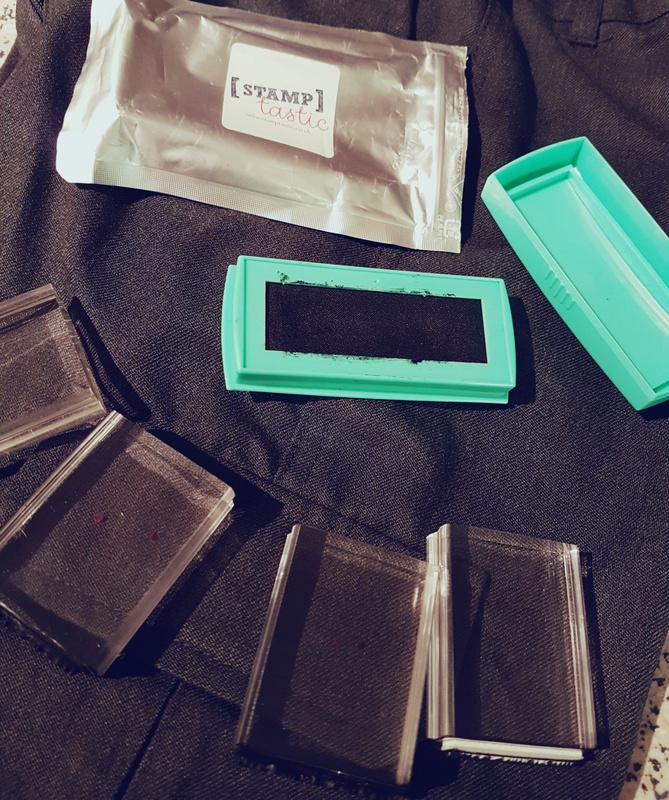 Everyone has their preferred method, but for years I’ve been using Stamptastic stamps to label the children’s clothes, shoes, P.E. kit, lunchboxes, water bottles – just about everything you can think of, because one stamp does it all. It’s the fastest way I know to label children’s school stuff and it’s also really long-lasting too. You won’t find yourself re-stamping things a few weeks into term, it will last the whole year. With the start of the new school term comes new skills of course. Yes, school is a place to learn but, really learning should begin at home and the summer holidays can be a great time to help children with something specific. It might be reading, it might be maths or even telling the time. It doesn’t have to be a bore of course. 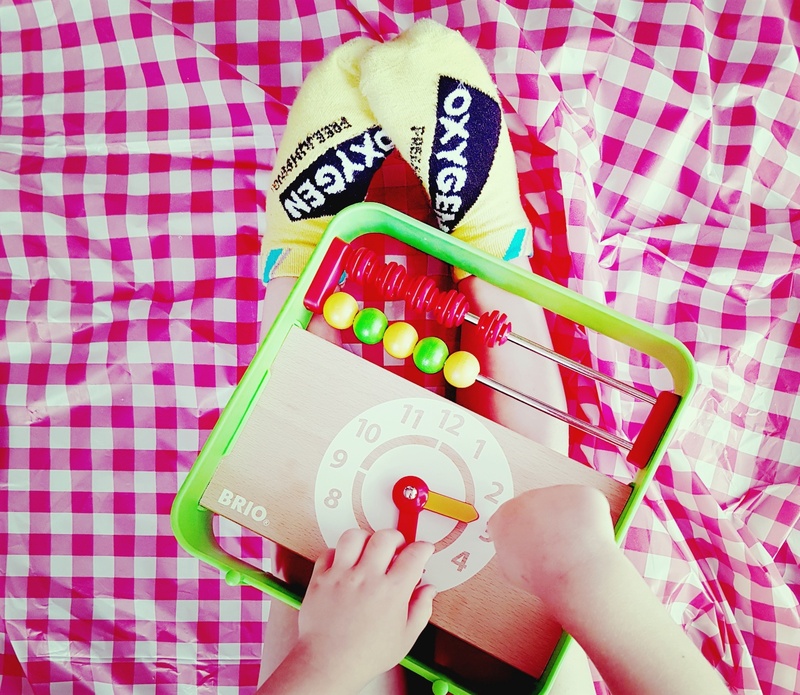 There are maths games you can get or you could sing the times tables in the car and when it comes to telling the time there are things like this handy BRIO clock and abacus that can help. BRIO make stunning products and we are fans of their train sets, but this clock is so useful for learning at home. The quality and build of this clock will mean you can pass it down to family members over the years as everyone learns to tell the time. These days many children learn to tell digital time first and struggle to learn the basics of traditional time-telling, it’s something that teachers say lots of children struggle with these days, so why not nip it in the bud and help them out at home? You can also use the end of the holidays and some time at weekends to play games with children that have a dual purpose. There are tons of games these days that offer great learning opportunities, and all of these therefore support children once they are in the school environment. Games like spot the difference, or games involving colours, shapes and numbers can all be really useful in giving children that edge in school. Orchard Games have some superb educational games, as do University Games. If you play games with well known characters, or your children’s TV favourites in, it is often easier to engage them and it also seems to assist with the memory aspect of the learning. 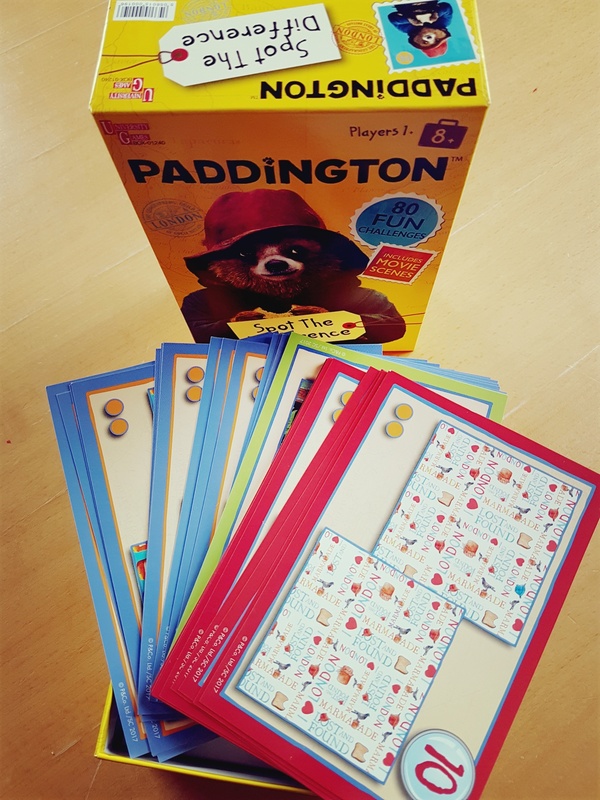 We really like the iconic Paddington in our house so the children love this spot the difference game with movie clips and 80 fun challenges. You can do this with one child or more, solo or in teams, so it’s really versatile and improves reaction times when the children compete. The back to school routine can bring with it colds, bugs, the dreaded nits and even bumps and scrapes from the playground. It’s just the way things go unfortunately, but having a few key things in stock at home can help. 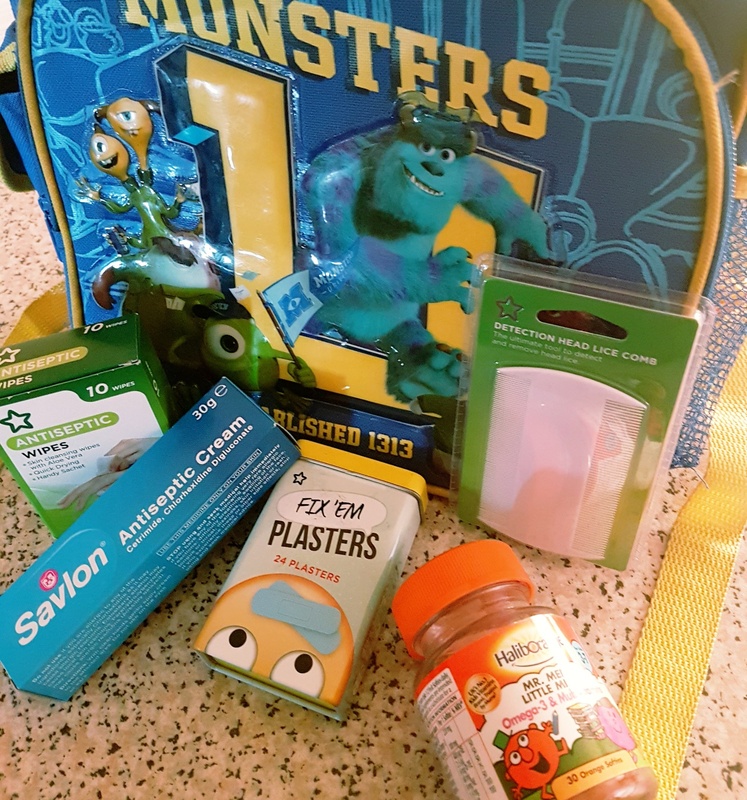 Superdrug have loads of handy back to school essentials like Savlon, antiseptic wipes and Fix’ Em plasters for all those little playground bumps. Detection head Lice Combs for those pesky head lice and tasty Haliborange vitamins to keep little people healthy and more able to fight off those bugs. We don’t like to think of anything happening to our little darlings but being prepared can be half the battle with these things. 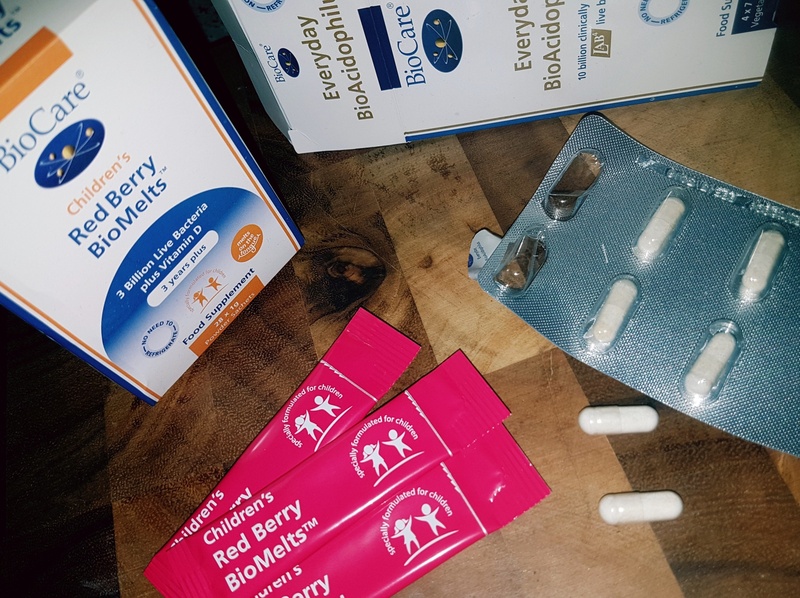 If you are looking for an extra immunity booster for the whole family this term, you might want to consider BioCare’s new easy to use probiotic, the BioAcidophilus Everyday doesn’t require refrigeration, they’re convenient for all adults, especially for busy parents and people on-the-go. They’re great for your gut and an additional source of friendly bacteria naturally found in your digestive system. In addition, they’ve so added a tasty children’s supplement, the Red Berry BioMelts. 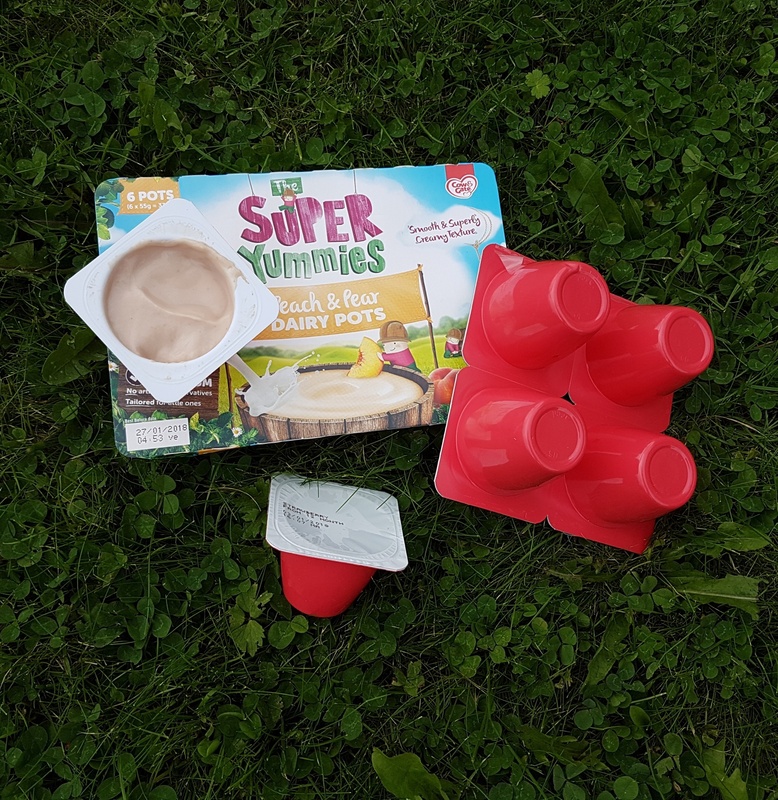 This innovative product is a no mess, no fuss supplement that makes giving your kid’s their daily dose of vitamins a whole more fun. The delicious berry flavoured sachet dissolves on the tongue, designed to give children the essentials they need for immunity support. I really like that these are so easy, practical in the little sachets and can be taken without any fuss – winner! How are your preparations going for the start of term?